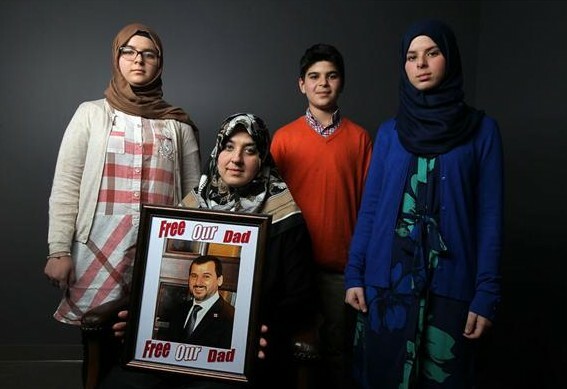 PM Trudeau: Call on the UAE to free Canadian citizen Salim Alaradi now! Salim Alaradi, a Canadian citizen and father of 5 young children, has been detained without charge in the United Arab Emirates (UAE) since August 2014. We are also worried that he was tortured. His health is deteriorating quickly as his family has informed us this week. Write to Prime Minister Trudeau to urge him to call on the UAE to free Salim Alaradi now! I am calling upon you to use the full power of your office to intervene on behalf of Canadian citizen Salim Alaradi, who has been unlawfully detained in the United Arab Emirates (UAE) since August 28, 2014 without charge. There are also concerns that he has been the victim of torture. It is vital that Canada demand that he be released unless he is charged immediately with a recognizable criminal offence and brought promptly to trial in fair proceedings. Your intervention is critical in ensuring that Mr. Alaradi’s human rights will be respected and upheld. Mr. Alaradi’s situation is urgent. He has a number of pre-existing medical conditions prior to his detention that have increased in severity as a direct result of the detention, along with new medical complaints caused by his detention. In addition to asthma, high cholesterol and vulnerabilities due to an open-heart surgery, he has developed new conditions in his back, major weight loss, eye infection and bronchitis. Canadian authorities have informed the family that they are seriously concerned about his health after seeing him in a recent visit. A press release published on August 25, 2015 informs us that his health is quickly deteriorating. We live in a country whose profound commitment to human rights has always been recognized by the international community. It is with the knowledge of and pride in this commitment that we raise Mr. Alaradi’s case with you. Prime Minister, we ask that you intervene vigorously on behalf of Salim’s wife, Zaghuwan, and their five young children. As Canadians, they have every expectation that you will recognize this case as a travesty of justice and do everything in your power to ensure that his rights are fully protected. Find more information and actions on the Free Salim Alaradi campaign website spearheaded by one of Salim’s daughter here. This entry was posted in Past actions on 28 August 2015 by ICLMG CSILC. OpenMedia – Canada’s growing privacy deficit has alarming consequences for our everyday lives. We’re at a tipping point where we need to decide whether to continue evolving into a surveillance society, or whether to rein in the government’s spying apparatus before more lives are ruined by information disclosures. OpenMedia’s crowdsourced Privacy Plan outlines common sense steps to strengthen privacy safeguards for all of us. The government has just rammed its anti-privacy Bill C-51 through the Senate. 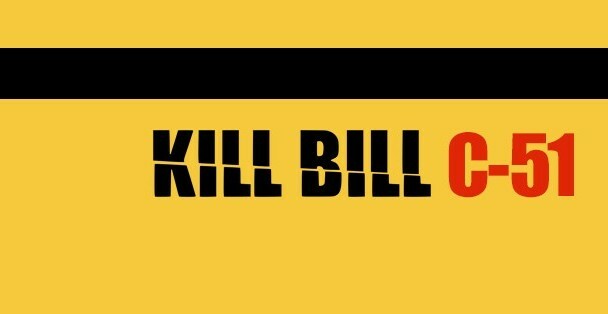 Now we need to tell Party Leaders to #KillC51 and implement this positive alternative. This entry was posted in Past actions, Resources on 5 August 2015 by ICLMG CSILC.